Welcome to Courtyard Towers 402. 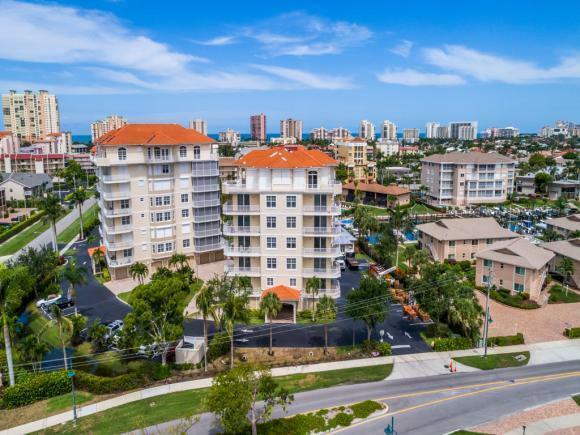 Located in Build 4 in this wonderful condo community is ideally located on the south side of Marco Island. This beautiful fully furnished condominium is an end-unit providing amazing water views in all directions. The building is positioned facing east in front and west in the rear providing both incredible morning sunrise and specular evening sunsets. The 402 unit is 2150 sq. ft. under air. It features 2-patios for great views.The unit features 3 bedrooms, 3.5 baths, and large kitchen and living room for easy entertaining. Private enclosed garage, common docs for boating, clubhouse with fitness center. Designed with 2 units per floor private coded elevator serves each unit lobby. Condo is being sold partially furnished, with the family room and dining room furniture, and Lanai furniture excluded.